These are excerpts from a conversation I had in a LinkedIn Group in answer to the question above. There were many other cogent and helpful comments ahead of mine in the conversation, so I added 6 additional reasons businesses fail into the conversation. I will eventually have to write separate blogs on each of the six but for now here is a condensed and edited version of the six reasons I added to the conversation. As usual, names are deleted or changed. All of the earlier comments in the conversation are relevant and well thought out. So, why do small businesses fail? 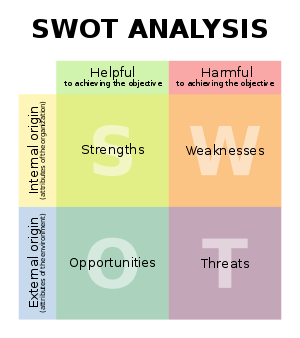 You have to do a thorough SWOT analysis of every aspect of your business, your competitor’s business, who your ideal customers is, what rules & regulations are involved, what your costs are (fixed & variable), what’s your niche & what makes you different from the others. As a previous person intimated. “Fail to plan & you plan to fail”. Most small businesses don’t plan, they just DO. The fatality rate is so high because of things like the Pizza ovens. (Pizza Ovens? A different previous person commented on a business that failed because they were unaware of regulations regarding installation of Pizza Ovens) People just start businesses but they don’t know what they don’t know and as a result things pop up and bite them in the nether regions. Far too many new businesses don’t grasp the concept that establishing their business will take time. They may do cash flow projections but tend to overestimate their earnings while underestimating their costs. It may be 18 months before their income exceeds their outgo, so where is the money coming from to withstand that drain? As yet another different person in group pointed out, they need a thorough cost analysis. Set competitive yet profitable prices. “I have built a better mousetrap so the world will beat a path to my door. My business will grow by word of mouth” No it wont. People can’t beat a path to your door if they don’t know where your door is or that you have a better mouse trap. The Marketing Plan part of your Business Plan is a separate plan all of its own. How are you going to reach your ideal customer? Have you even defined who that ideal customer is? (No, “Everybody” is not a valid answer.) How much are you going to spend on advertising? Where? When? How often? How will you TRACK the results? Whether it is good old-fashioned handshakes and conversations in Chamber of Commerce meetings or it is a Social Media Marketing Plan, owners need to be out there promoting their business and getting their message out. Entrepreneurs should try to find part-time work in the field they are planning to open their business in so they can learn more about it. They should have advisory boards to bounce their ideas off before they implement them. They should take the courses of certification that are required for the industry they are entering. I have seen hundreds of entrepreneurs who dreamed of opening their own restaurant yet they have never worked in the Hospitality Industry in any capacity, let alone managed a restaurant. Unsurprisingly, many of them fail. As I look back at what I have just written I see it is woefully inadequate. I see about 10 blogs I am going to have to write. Feel free to post in comments which sections you would like to see me expand first in a future blog (No guarantees, here).